For my mom's birthday, I want to install moonlights in/on our 20g. I'm not sure how many I need though. Would one of the kits I see on ebay suffice? Other ideas? Also, where would I put them? TIA! Q: Why do chemists like nitrates so much? A: They're cheaper than day rates. Id get them pre installed in a piece of oak like on ebay.. i made my own.. but had to drill into my tank top.. no big deal.. but i had nothing to cover over the lights cord... i didnt mind it though. Thought it would be better to add to this thread rather than start a new one...does anyone have any recommendations on kits they've used with success? How many LEDs would be needed for a 20g? Can't help you with the kit but two smaller lights would be plenty. I've got a tank six feet long and there are four on it. 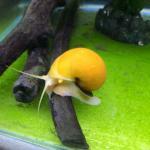 I was just asking questions about how lighting is on freshwater tanks on another thread,... I'm not sure if your using saltwater or fresh but on my saltwater tank I was useing a Satellite 24 hour lighting system. The reason for the "24" hour part is it comes built with Lunar LED's on it. Basically you turn off the main lighting and the moonlight stays on overnight. It works great with saltwater... but in my other thread I've been asking about them in fresh. The moonlight does look awesome at night. The tank I'm asking about now is also a 20g. Mine is freshwater. I haven't heard that anything works different. I'm looking for suggestions since this is a present and I'd like it to be fantabulous. I'd prefer not to buy a whole light since there's no reason to. There's a million kits on ebay and online (ergo wanting recs, lol).